Participatory Mapping is a robust tool to engage and empower communities in the management of local resources. 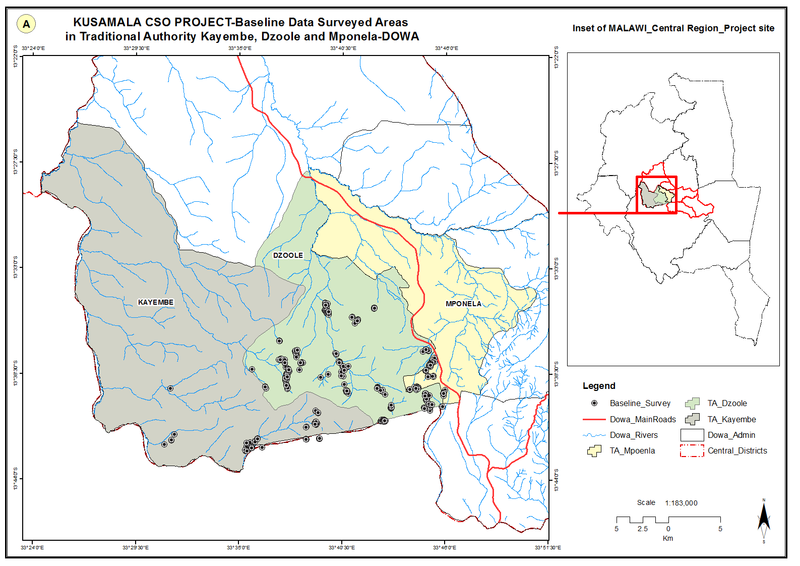 Official maps are often irrelevant to the daily lives of rural smallholder famers, whereas maps created by and for the community include elements that communities themselves value and perceive as important, such as customary land boundaries, sacred areas, traditional resource management practices, and knowledge bases. Oftentimes, the process used to create the maps is as valuable as the maps themselves; as maps are planned around a common goal and strategy for use and are created with input from the entire community in an open and inclusive process, and the knowledge gained stays within the communities rather than leaving at a project’s completion. 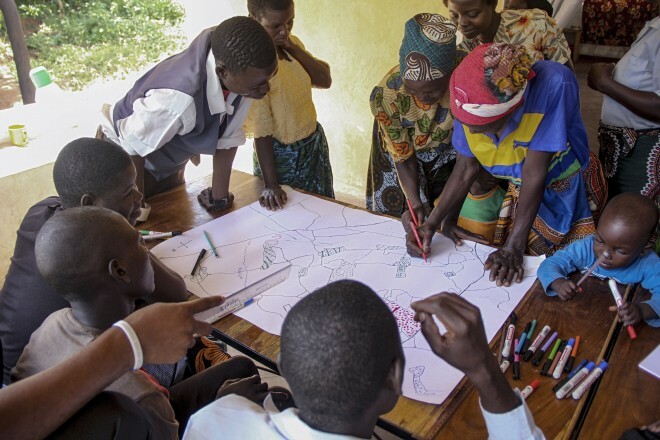 Kusamala’s trainers can facilitate participatory mapping workshops for trainers or communities on site, or at our training facility in rural Lilongwe. Additionally, our facilitators can incorporate GPS data collection and satellite imagery from Google maps to further geospatial understanding and learning. Kusamala understands that maps can be powerful tools in development work. Beyond simply being a means of recording and communicating information about the location and spatial characteristics of the natural world, maps help to gain better insight as they provide context and can uncover spatial patterns that might otherwise be overlooked. Using maps and geo-spatial data in your project will help for more persuasive story telling. Kusamala’s mapping experts use GPS data collected on site to create a variety of maps for projects of all sizes. Using professional GIS software, we can create maps that include data collected on soils, water, trees, property lines, traditional boundaries, aerial imagery, and more. Whatever your mapping needs, Kusamala can help.